All La Lenguan residents should consider this fair warning when traversing Precitaville, as Consular services may not be available. As to the location of J.T. 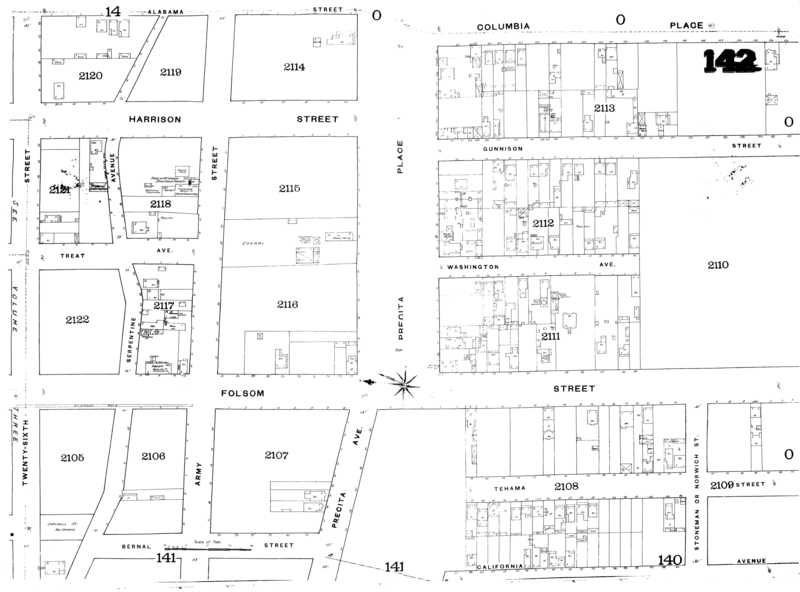 Graham’s saloon, we suspect a Bernalian disinformation campaign that spreads even to the 1888 city directory level since 27th and Alabama did not intersect in the 1880s. 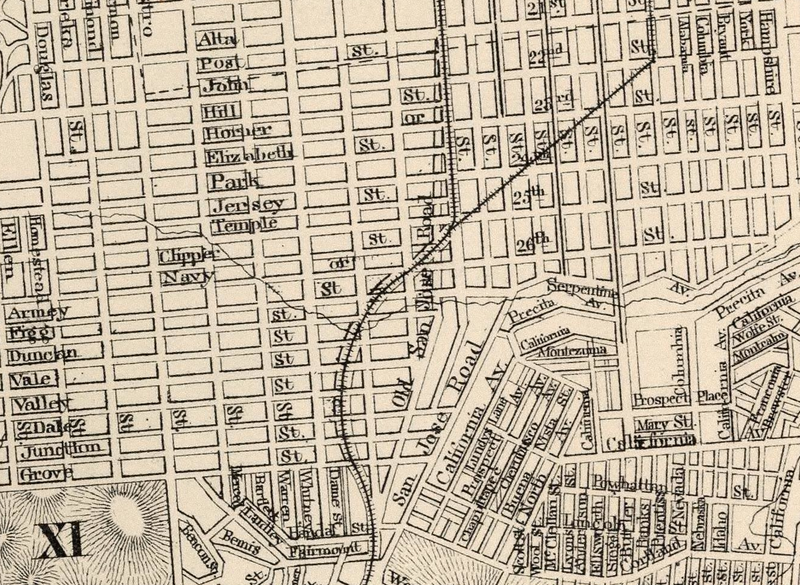 Nor did 27th cross over to Bernal back in 1869. 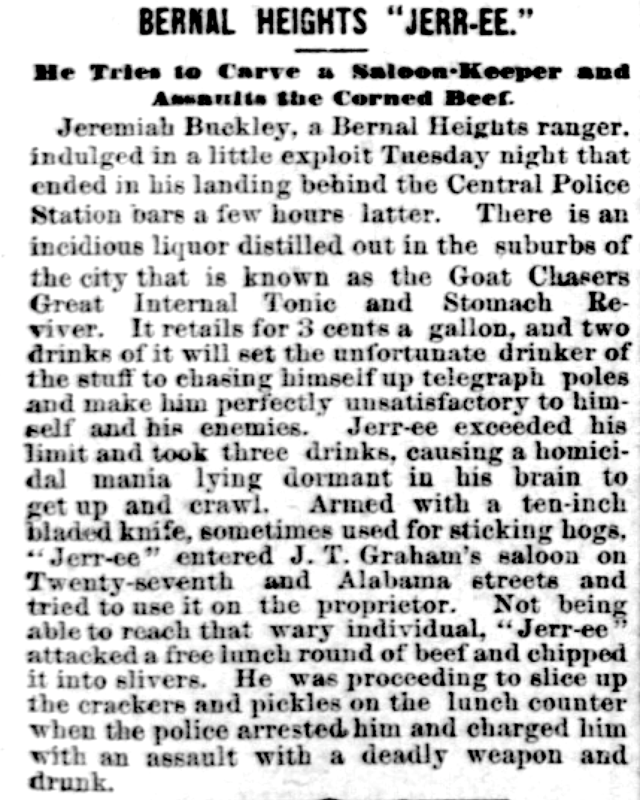 Despite the garrulous nature of Bernal residents, it seems that Thomas Graham ran his grocery at the corner of Precita and Alabama for quite some time. 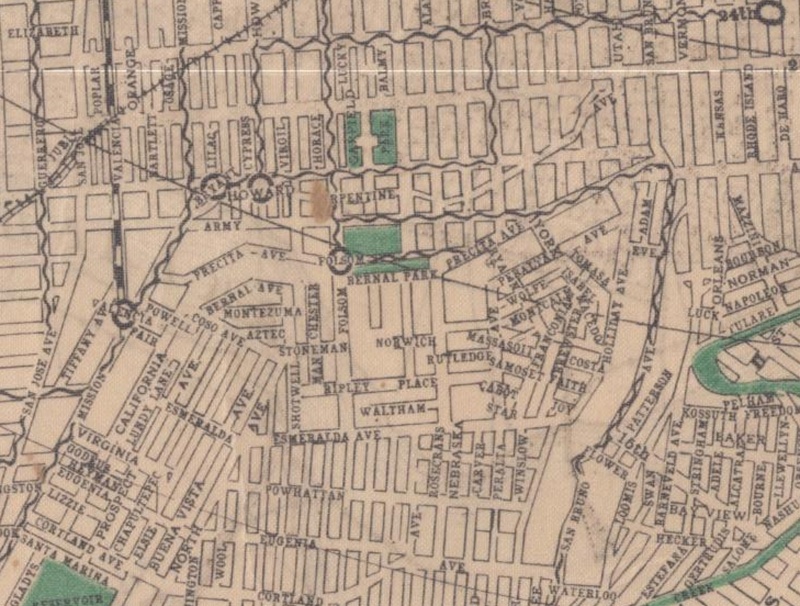 …though the Precita streetcar franchise wasn’t granted until 1898. (Thanks @enf.) 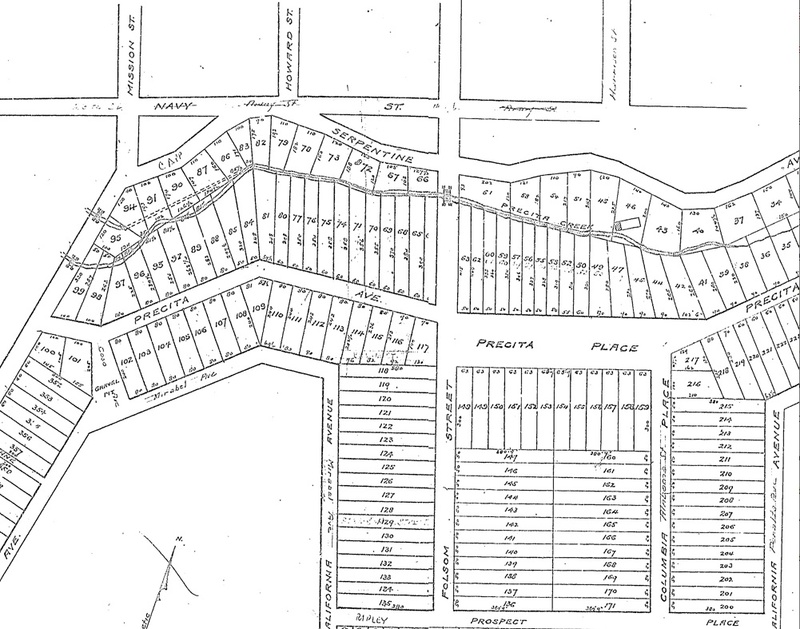 This 1905 map shows the Precita route. 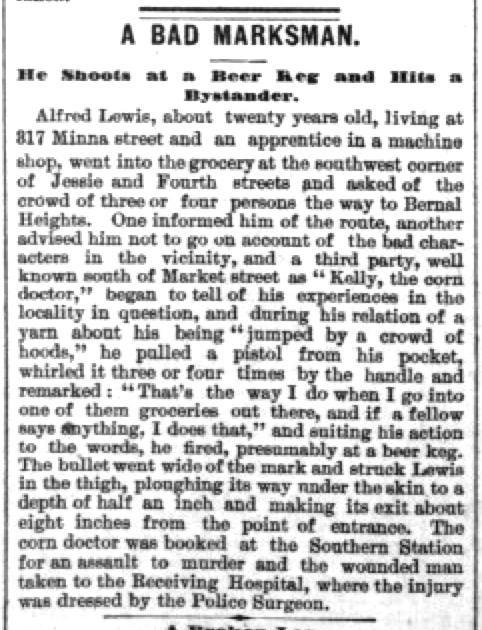 In 1905 he was renting out a 5 room cottage for $20 ($510 today, adjusting for inflation). By this time references to 27th were dropped for Precita Ave. In 1906, their dog Noodles got lost. The reward was about $125 adjusted for inflation (or one-quarter the rent of the 5-room cottage…) Poor Noodles. That same year, John was looking for help with his stable. 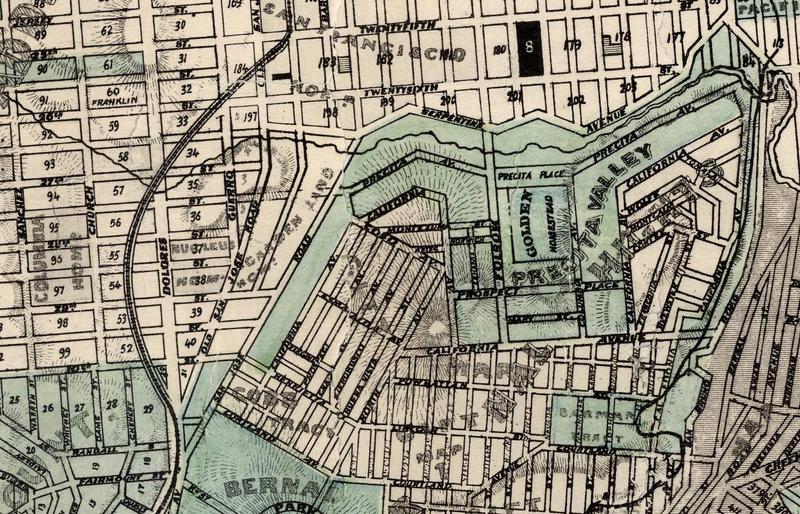 The first specific address, 431 Precita, shows up in the city directory in 1900. 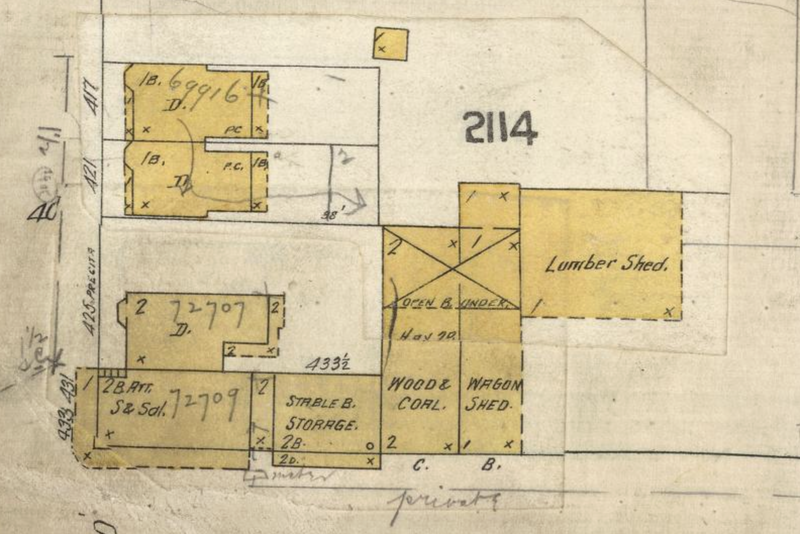 We can see the building in the 1899/1905 Sanborn Maps — Precita is on the left, Alabama is on the right. His son. 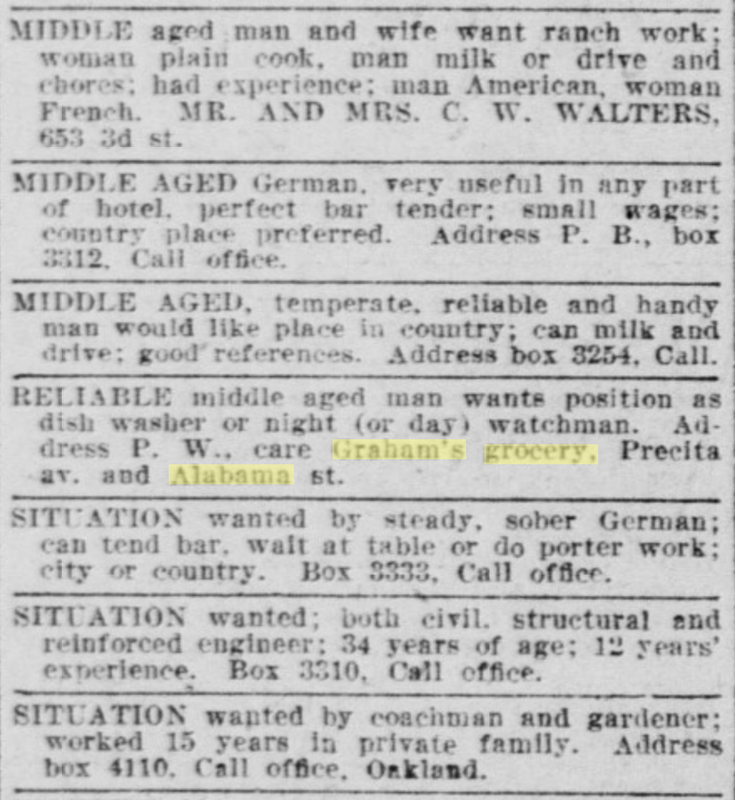 John E. Graham, starts showing up in the 1900 city directory as a clerk. But by 1915, his father John T. is no longer listed. 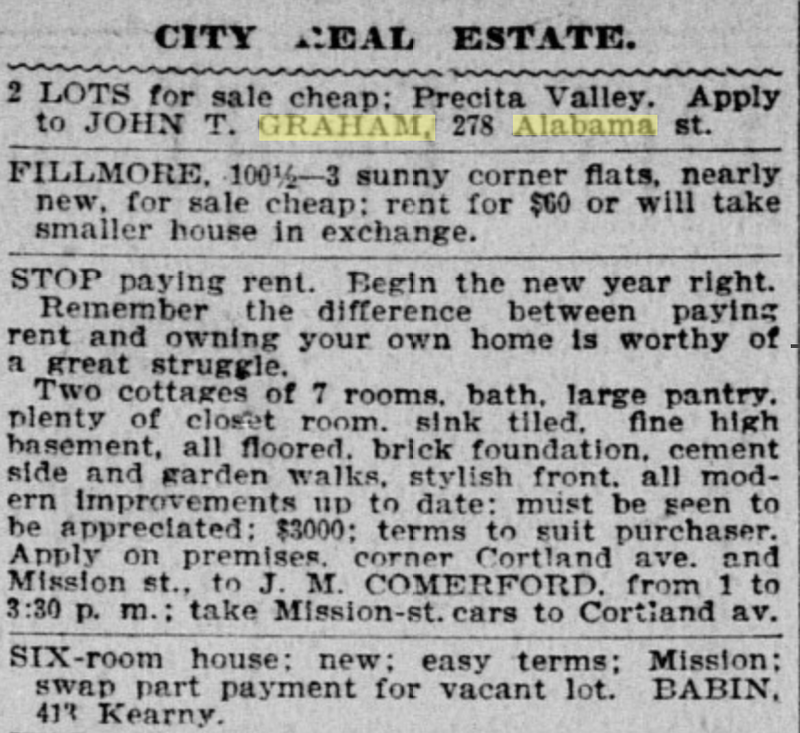 The long-standing John T Graham company changes hands, and by 1917 it looks like John E. Graham has a different job. 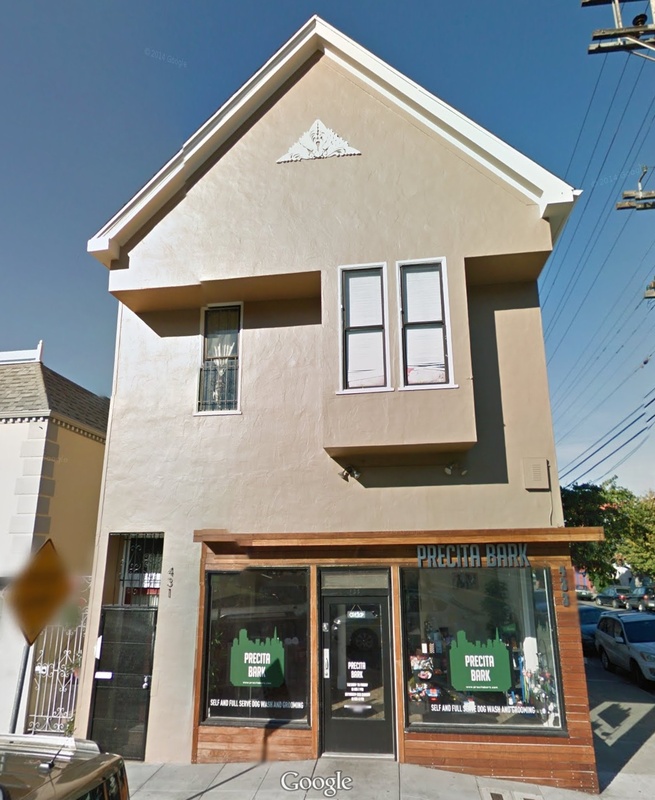 It turns out Bernalwood inadvertently covered a bit of the history of 431 Precita a few years back. But today, 431 Precita is Bernal Bark, something Noodles the dog would have appreciated. ← Bikes to Books Tour! May 3, 1-4! Co-hosted by SFBC! Poor Noodles. I’m curious about the second rail line spur coming off the old SP right-of-way at Valencia. 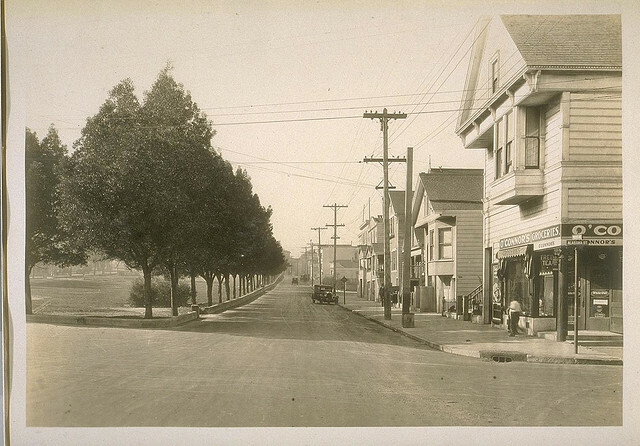 I wonder if that was a temporary right-of-way while the rest of it was being constructed over to Harrison, or if it was something else like a horse-drawn trolley. Wasn’t there a Cable Car line running down Valencia? Seems like the line on the map could be that.